Santa Barbara parents want what’s best for their youth, but some can’t always provide everything their children need when the family budget is tight. If your child has crooked teeth and you are on the fence about braces, we encourage you to read this post. If you suspect that your child’s bite is not aligned, we invite you to make an appointment with King Dental Group. Dr. Jon King can evaluate your child’s bite and make recommendations to see a specialist if needed. 3. Crooked teeth can affect normal speech development. 5. Crooked teeth can cut down your child’s capacity to eat a healthy diet. When uneven teeth begin to crowd together, it becomes challenging to make vital daily cleanings effective. And, when your teeth aren’t cleaned properly, problems with plaque build-up, cavities, and gum disease typically result. Severely crooked teeth often influence vitality and quality of life. For example, chewing problems can lead to ulcers, and gum disease increases the risk of stroke and heart disease. Ceramic, self-ligating, and lingual (invisible) braces are some of the new orthodontia options. In some circumstances, invisible braces can be just as effective at straightening teeth as the traditional type. 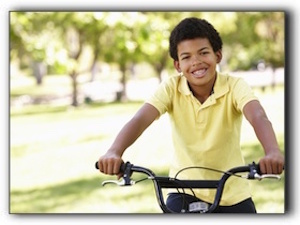 To find out if your child needs braces, schedule a consultation at King Dental Group by calling 805-687-1548.